It’s that time again! That a change of address is called for due to various reasons. It could be a new job that necessitates that you pack and move house or offices domestically or nationally. Or it may be new business interests in a new part of town. 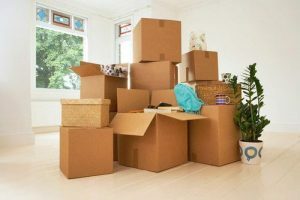 Whatever the reason, the move has to happen and you know it can be quite a stressful and harrowing job if you don’t have the right help when it comes to removals in Peterborough. Our removals firm covers all of these areas and is currently one of the best in the business. We are a registered, and fully insured removals firm serving Peterborough, Trumpington, Cambridge, Stamford, and the area. We have been doing removals and storage for a long time and have come to understand the business intricacies involved exceptionally well. Our customers know and can attest to our stellar professional moving services. It is not just about moving your goods from point A to B. We seek to offer a service that knocks out completely the stress of moving from your mind. You will know that you are talking to the right person from the minute you pick up your phone to call us. Our service is friendly but professional and we love what we do. You can expect all your questions to be answered and if need be, one of our team members can be dispatched to your home or office just to see the scope of the clearance that is expected. This helps us to be able to accurately inform you what would be involved and create a moving plan that will work for you as well. This pre-moving visit is vital as it helps us to alleviate concerns that you may have about sensitive items and documents, as well as involve you to some small degree in creating a plan. By the end of this process, most clients who were laden with worry over sensitive items such as glass, artworks, precious furniture, documents and so forth become at ease as they experience our meticulous team taking care and addressing every concern and aspect of the move to the minutest detail. It is our joy to see you relaxed and have the confidence that your house or office removals are in good and capable hands. Packaging of removal items is not rocket science, but can be very involving. Our team has been doing this for many years and they know how to methodically approach packaging so that what seems like a mammoth task becomes quite possible and completed within record time. We provide the necessary packaging materials such as cartons, bubble wrap, and so forth. Our team makes sure everything is packaged with care and labeled so that unpacking at your new home or office is much easier and orderly. Our fleet contains all sized vehicles to handle the simplest moves, as well as the most involved ones both domestically and nationally. 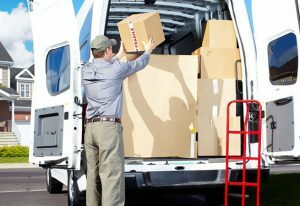 The move may necessitate a van, lorry, truck or container. Whatever your house removal needs are, we are the right firm for the job. Often, one of the bigger challenges of having to move house or office can be storage, depending on your situation. Our team is experienced enough to accommodate all manner of house moving complexities. We are here to provide you with moving solutions. In the event that you need your house or office cleared but your forwarding address has not been determined yet, we can do house clearance and offer you affordable storage as well until such a time that you will have determined what your new address will be. This saves you money as you don’t have to pay rent unnecessarily for the property that you need to move out of even though a forwarding address is yet to be determined. Where house clearance and storage are needed, we have both short term and long-term secure storage options. Our staff is highly trained and experienced in both customer service and removals. When you give us a call, a capable team member will help with your question and provide a preliminary quote on phone or online. If there is need, a team member will visit your premises with your permission and asses what the removal job entails in order to give you an accurate quote and address any concerns you may have in respect to a moving plan, schedules and so forth. At the time of packing, our team will also provide you with a copy of fully itemised inventory of all items packed. The same will be used when off-loading so you have a record of the same. Once you are in agreement with the quote and a moving plan and schedules are agreed upon, our team leader will keep you appraised on anything you need to know regarding your move or storage or any other questions that might arise. No two house or office removals are the same. For this reason, we take the time to inspect the job and involve you in the planning phase in order to make sure our execution will be in tandem with your wishes and plans. In essence we customise the move to suit your needs, schedule and plans. Generally, moving can be a stressful task, and an expensive one if not planned properly. Our prime goal is to offer you cheap removals services that are stress free. We believe all you what you want is friendly professional and well-equipped staff handling your house or office clearance. 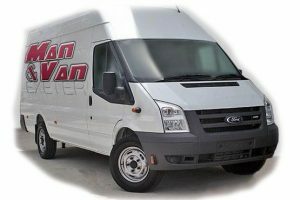 Well, you can rest easy and take care of other things as our man with a van company take care of every aspect of your removal. If you’re moving home or office, we can help you with your boxes. We think inside the box!